With the help of engineers at the NRAO, Hankins and his team designed and built specialized electronic equipment that allowed them to study the pulsar's radio pulses on extremely small time scales. They took this equipment to the National Science Foundation's giant, 1,000-foot-diameter radio telescope at Arecibo. With their equipment, they analyzed the Crab pulsar's superstrong "giant" pulses, breaking them down into tiny time segments. A pulsar's magnetosphere -- the region above the neutron star's magnetic poles where the radio waves are generated -- is "the most exotic environment in the Universe," said Kern. In this environment, matter exists as a plasma, in which electrically charged particles are free to respond to the very strong electric and magnetic fields in the star's atmosphere. Some of the brief subpulses within the Crab's "giant" pulses are second only to the Sun in their radio brightness in the sky. 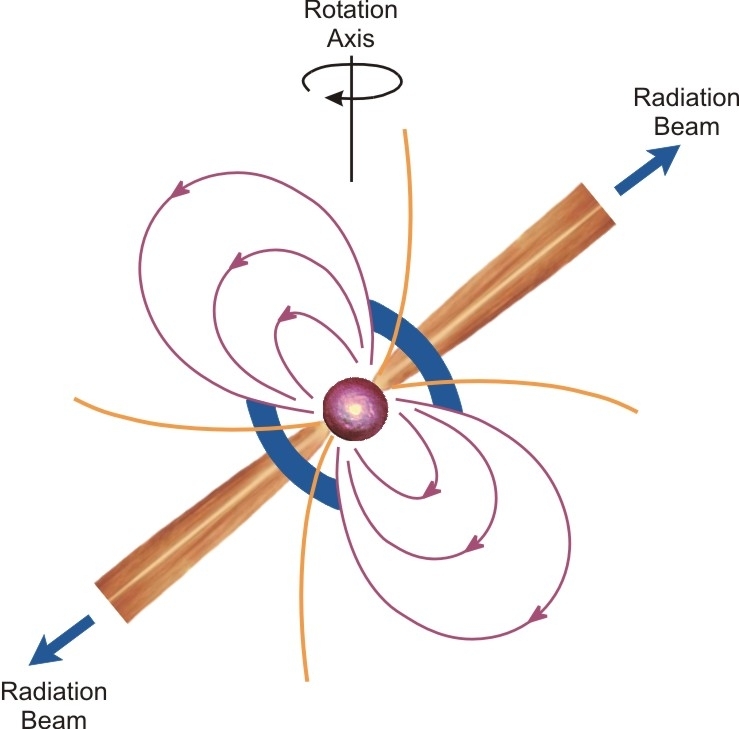 Although the mechanism that converts the plasma energy to radio waves in the Crab's "giant" pulses may be unique to the Crab pulsar, it is feasible that all radio pulsars may operate the same way. The research team now is observing signals from other pulsars to see if they are fundamentally different. The subpulses in the Crab's "giant" pulses are so strong that the team's equipment could detect them even if they originated not in our own Milky Way Galaxy, but in a nearby galaxy. The Crab Nebula is a cloud of glowing debris from a star that was seen to explode on July 4, 1054. Chinese astronomers noted the bright new star that outshone the planet Venus and was visible in daylight for 23 days. A rock carving at New Mexico's Chaco Canyon probably indicates that Native American skywatchers also noted the bright intruder in the sky. 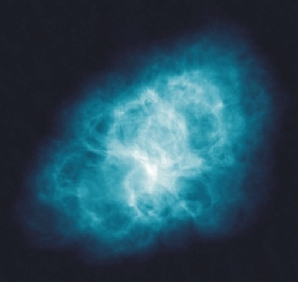 In 1948, radio emission was discovered coming from the Crab Nebula. In 1968, astronomers at Arecibo Observatory discovered the pulsar in the heart of the nebula. The following year, astronomers at Arizona's Steward Observatory discovered visible-light pulses also coming from the pulsar, making this the first pulsar found to emit visible light in addition to radio waves.